It’s been almost fifty years since John Metzler received the Christmas card from Donna Caye that meant so much to him. At the time, he was a 23-year-old helicopter sniper who was in the middle of fighting in the Vietnam War – and while his time overseas was brutal, he says there was one thing that kept him going: a small note that was mailed to him on Christmas Day from a little girl back in the United States. Metzler is now a 71-year-old Army veteran, but he still keeps the card on a shelf in his Wendell, Idaho home. “Fact is I think it means more today than it did when I got it,” John told CBS News. He recently asked his family members to try and track Caye down so he could meet her, but they told him they couldn’t find her. 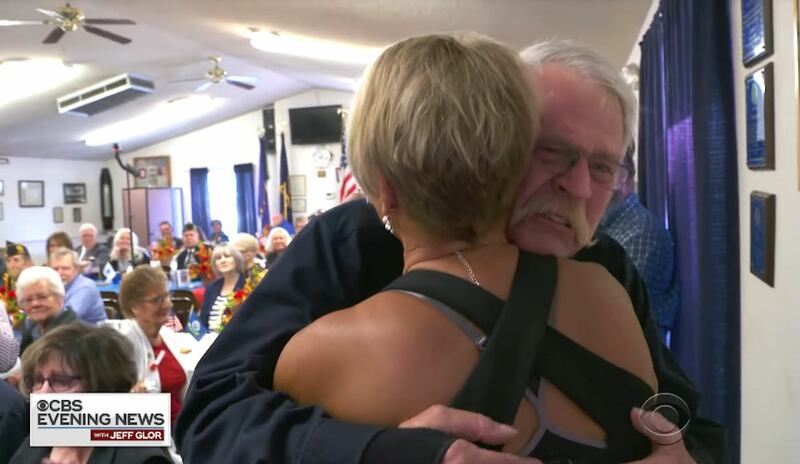 Little did he know, however, his family had found Caye—and they arranged for her to fly out to Idaho from her home in Florida so she could surprise Metzler. Needless to say, their meeting was incredibly emotional.